With the run set to start at 8.15am, Reebok’s Les Mills instructors will be on stage to hype up the Color Runners and get everyone into the party mood with a fun and energetic warm up before the fun run begins. Once out on the 5km course, participants should look out for the giant Reebok insignia which marks the blue color station along the route - don’t forget to wear white to show off all the colors from the race! There’ll also be prizes given out to the crowd on the day, and lots of opportunities for photos. Online registration is now open for the Color Run™ Qatar at www.thecolorrun.qa and is open to all ages, priced at QAR 170 per person for solo runners (under fours run free), and QAR 160 per runner in teams of four or more. 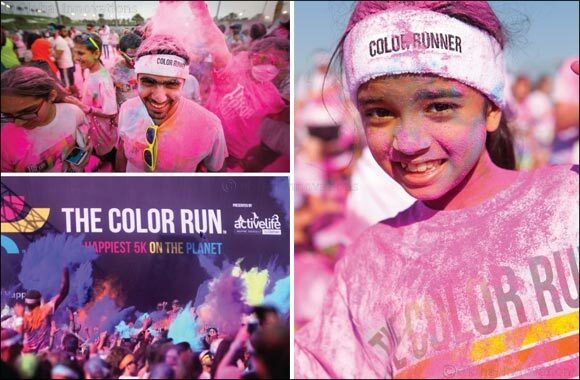 For more information about the race and how to register, go to www.thecolorrun.qa.